A leash-cutting ceremony was held recently to open the new Edgewater municipal dog park. The fenced-in park is located at 915 River Road along the Hudson River Waterfront Walkway. Pups can frolic from dawn to dusk along with their humans. Currently the run boasts natural grass, however, that may be replaced in the future with some other sort of appropriate surface. Amenities at the park include benches for people and a comic fake fire hydrant for the pooches. Dog owners/caretakers will be expected to scoop their dog’s poop for disposal. “I’m really, really proud to present it,” said Mayor Michael McPartland, calling the spot “perfect” for the many people who walk their dogs along the walkway and easily accessible for dog owners who want to drive in and park. 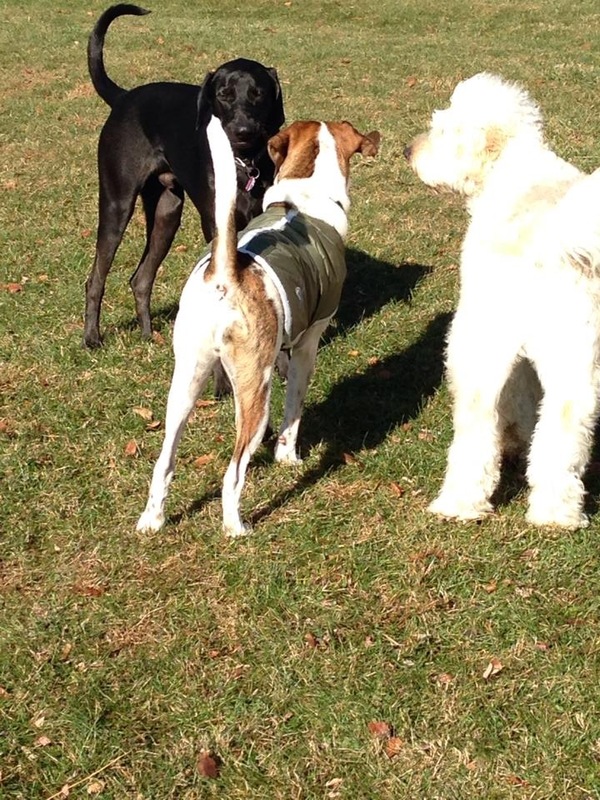 Dogs large and small will play together at the park. If you haven’t used a dog park before, you can find useful information at Fern Dog Training by expert dog trainer Fernando Camacho. See you at the bark park!